Thank you World Market for sponsoring this recipe. As always, all opinions are my own. 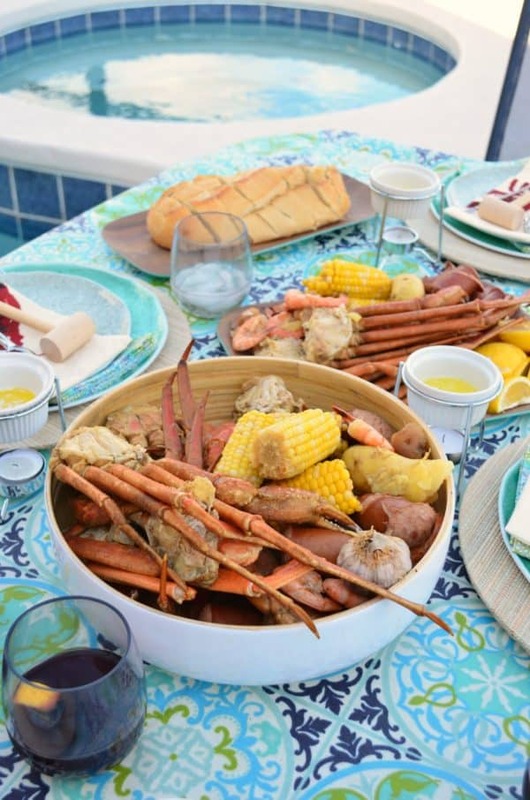 If you love seafood and love getting together with friends and family I highly suggest hosting a crab leg and shrimp boil at your home! 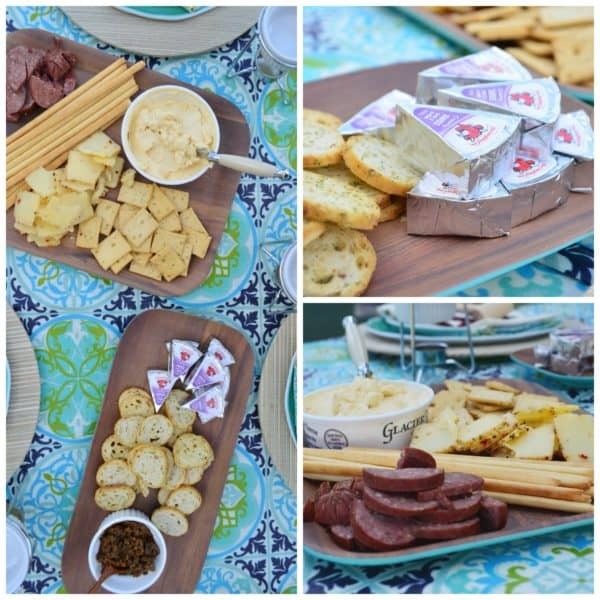 With the help from products at World Market you can truly have a memorable dinner with the people you love. Some might be intimidated by a crab leg and shrimp boil; however, I can honestly tell you it’s probably one of the easiest things to cook. With a few ingredients your dinner will be made and you’ll have wowed your guest. Because we had such a large boil we opted for our 20 gallon turkey fryer to cook the boil in. And it filled up almost the entire pot! I wasn’t sure if the 8 of us would be able to eat this much food but clearly we had no problem. While the Crab Leg & Shrimp Boil cooked my family snacked on a wide-variety of appetizer products found at World Market. I like to keep entertaining easy with already prepared products like cheese spreads, crackers, salami, tapenades and nuts (see below for the list of products). Before we dug into dinner we gave thanks and cheers to each other and for the food we were about to eat. We fell in love with the Castañeda Sangria. So much so that I ended up buying a case the following week. 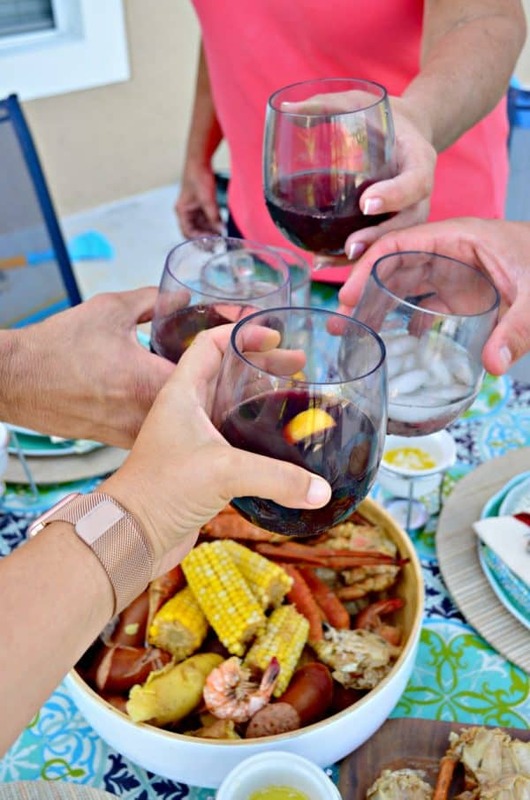 It’s the perfect drink mix to have this summer for easy entertaining! I’m in love with the new Seaside Modern collection. I love the bright colors, the textured chargers, the acrylic dinnerware and serving platters. Pretty much bought everything I could find. But the good news is that I’ve already used everything a few times with the various parties we’ve hosted at our house. 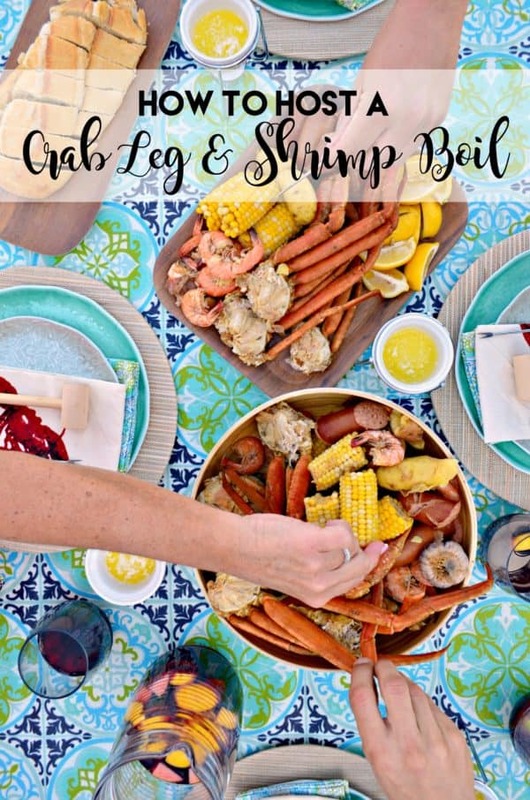 If your looking for a fun way to host your guest this Memorial Day weekend definitely give my recipe for my Crab Leg & Shrimp Boil a try! In a large 5 gallon pot, fill the pot halfway with water. 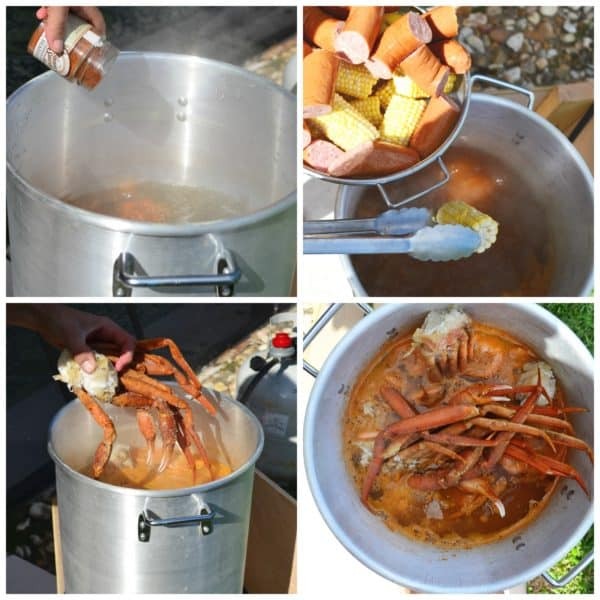 Bring to a rolling boil, then add in the Vanns Chesapeake Bay Seafood Spice. For the full recipe visit World Market.